Pretoria, South Africa – A steady rise in murder and armed robbery shows police are not getting a grip on serious violent crime in South Africa, despite a budget increased by almost 50% since 2011/12 to R87 billion. 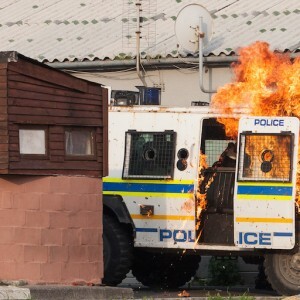 This is largely due to inappropriate political interference in the police, the Institute for Security Studies (ISS) said in response to the latest SA Police Service (SAPS) crime statistics released on Tuesday in Parliament. The National Development Plan called it a ‘crisis of top management’ in the SAPS. President Jacob Zuma’s presidency has resulted in a profound deterioration in policing and caused notable decline in public safety, the ISS said. Police reported murder up 1.8% with 52 people now killed every day in South Africa on average. The murder rate has increased 13.3% in the past five years, following a 55% decrease in the first 18 years of South Africa’s democracy since 1994. In the latest SAPS figures, armed robbery increased by 8 429 cases to 140 956 (up 6.4%). More than half of all reported armed robberies are street robberies with 79 878 recorded in the 12 months under review. Every day on average 219 cases of street robbery were reported. Street robberies increased by around 5% compared to the previous year and by 38.6% over five years. Street robbery primarily affects the poor and working classes as it typically targets people who travel on foot and who need to use public transport to and from work, school or shops. It is one of the most feared crimes. Armed attacks on people’s homes have increased by 1 523 reported incidents to 22 343 incidents (up 7.3%). There were 982 more armed attacks on businesses, up 5% to 20 680. Hijacking of cars is up 77.5% in the past five years and up 14.5% in the year under review. There are now 46 cars hijacked a day in South Africa, more than half (52%) of them in Gauteng, where an average 24 cars are forcibly taken from drivers by armed gunmen daily. The ISS recognised the bold efforts of many competent and honest police in South Africa, but said the root of the crime and policing crises in South Africa was the failure of the president to appoint a highly experienced woman or man of integrity as SAPS National Commissioner. Ongoing political interference at all levels of the SAPS has severely weakened the organisation. The political protection of Zuma loyalist, Crime Intelligence Head Lt-General Richard Mdluli, who has been suspended for six years with full pay and benefits despite facing criminal prosecution for murder and corruption, is one of many examples, said Gareth Newham, head of the ISS Justice and Violence Prevention Programme. The SAPS can only be professionalised when there ceases to be inappropriate political interference that favours some officers because of their political loyalties, irrespective of their conduct and ability. If political interference is halted, then South Africans have good reason to expect better results from the police, said Newham. Change would need to start with the way the SAPS National Commissioner is appointed. The ISS and Corruption Watch are urging President Jacob Zuma to follow guidelines in the NDP, as adopted by the cabinet in 2012, and appoint South Africa’s top cop based on competence, experience and integrity – not political loyalty. The ISS said police urgently need to improve their capability to investigate crime, gather evidence and arrest the perpetrators. This requires police to earn the trust of communities and reverse a decline in trust levels, as indicated by the most recent Victims of Crime Survey (VoCS). The annual SAPS crime statistics released on Tuesday cover the period April 2016 to March 2017 and are not a reflection of the past seven months in South Africa. The ISS encouraged police to work closely with Stats SA and civil society groups to ensure crime data is accurate, and that crime is tackled in a collaborative way. The ISS points out that corruption is not a category included in the crime statistics, despite it being a criminal threat to South Africa’s economy and social cohesion. ‘Corruption undermines public safety as it weakens the economy, breaks down confidence in government and leads to community frustration.’ The public need to see that the police are proactively tackling this profound threat to our national security, the ISS said.